"I find the class to be very helpful & interesting as well. I intend to continue as long as it is offered." Our French classes & lessons are effective and affordable - Sign-up today and begin learning the French Language and Culture! Read what students say about our language classes! "I have been taken this class for 3+ years. Monsieur Camara comes up with new and challenging materials every 6 weeks. My proficiency & confidence has grown by leaps & bounds. Topics ranged from the whimsical (Le Petit Prince) to the profound (Les Identités Meurtrières)." Materials are extra and purchased by the student. Students may join an Ongoing Group at any time if their language experience is at the current level of the group in session. Determination of the student's level is made by the teacher. For placement contact instructor at 510-223-3320. Introduces basic vocabulary and grammar with authentic pronunciation. Learn useful phrases for traveling and doing business in French-speaking countries. Conversation is encouraged through interactive activities. Cultural materials will be presented and used to aid with communication skills. No previous knowledge of the French language necessary for this small group class. 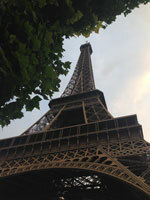 Practice and improve your language skills in this intermediate French class. Read and discuss French short stories, novels, newspapers, and articles to develop your conversational abilities and deepen your understanding of French culture. This class is conducted in French and will build your confidence as it broadens your experience of the French language. Fees for our classes and lessons are due at the time of registration.